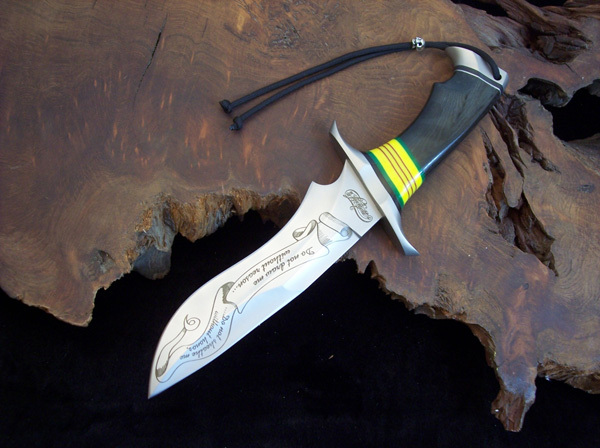 In 2007 I decided to make a Commemorative Vietnam Knife. I only made 10, plus a prototype. All ten were sold quickly at $900.00 each. 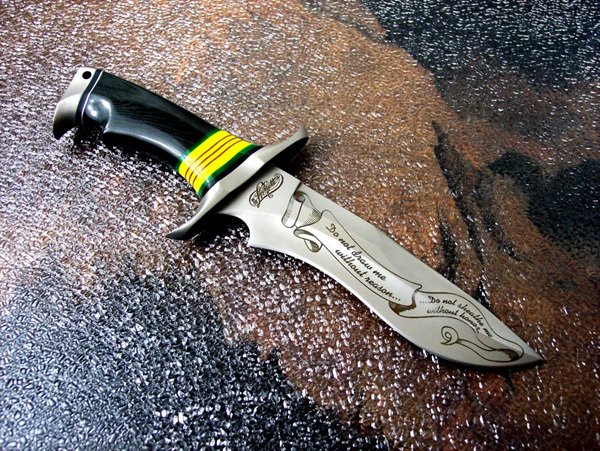 As it turned out there were few of my customers unhappy because they missed out on getting one of these knives. 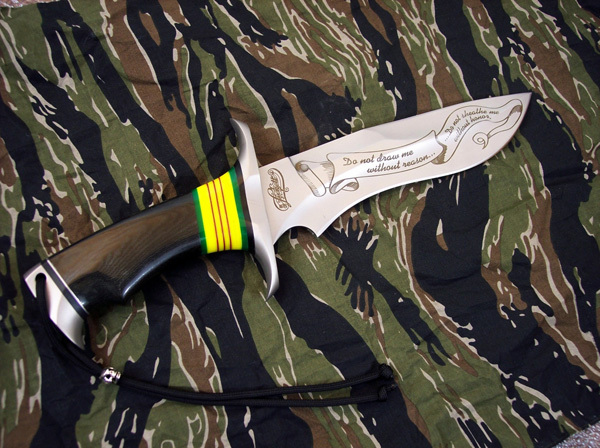 So I have decided to make a “Second Edition” of a Vietnam Commemorative knife. This time there will be 20 numbered models, plus the prototype which I will keep for my self. 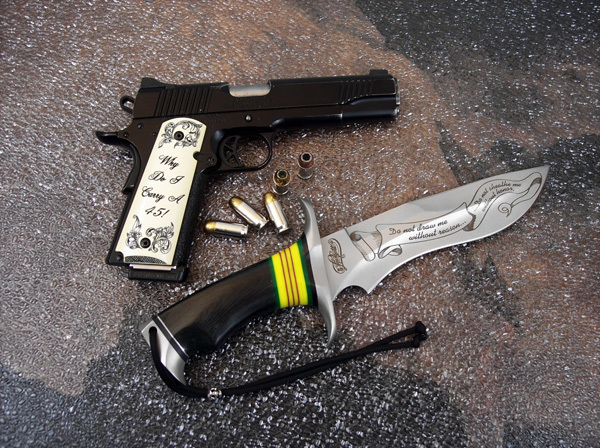 Hopefully everyone who really wants one of these special knives will be able to get one. I spent one tour in Vietnam, January 1968 -1969, stationed at Ton Son Nhut Air Base just outside of Saigon. Yes I got to experience the Tet Offensive in all of its glory. I was assigned to the 45th Tactical Recon Squadron as an Avionics Tech working on RF-101C Voodoos, RF-4C Phantom II, and the RB-66C Destroyer. As an Air Force Tech, I had it relatively easy, ….well at least until the Tet Offensive broke out. 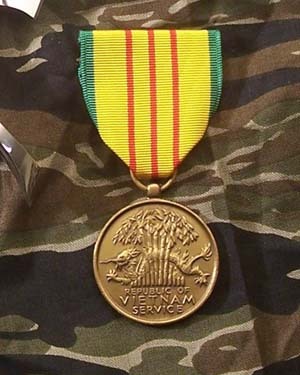 I received the Vietnam War Service Medal for my time spent in country. This Medal means Honor to some …. and others look upon it in Shame. While most others in this country look at it as, Something others did, without appreciation or understanding of the sacrifices made. So I want people to remember, to try and understand what this medal means to those who received it. 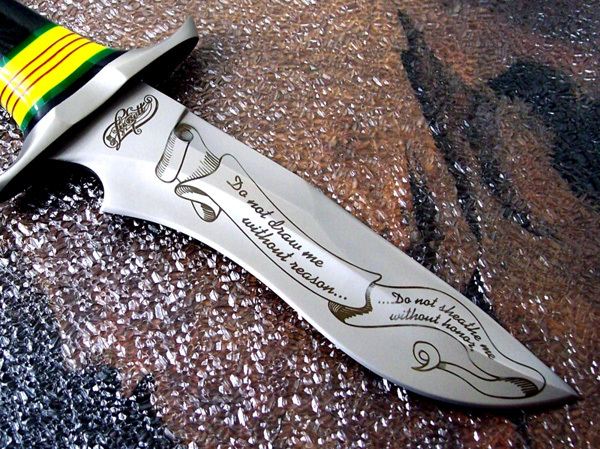 Being the “Second Edition” of a Vietnam Commemorative Knife, I guess I could have just made the same knife again, but I wanted to change it somewhat but still know it was about the same theme. 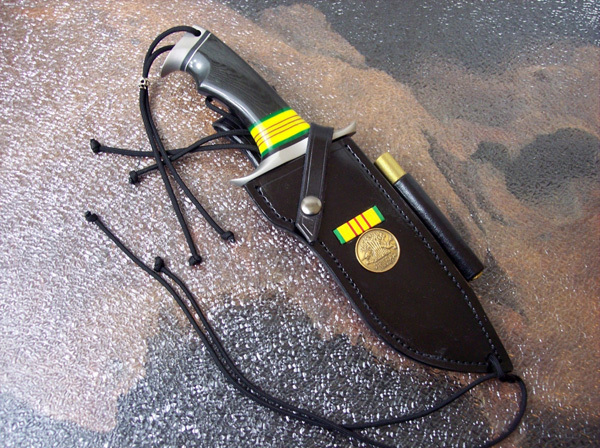 The handle style is almost the same as the first model, black linen Micarta with the Service Medal color scheme next to the guard. I changed up the guard somewhat but still similar. The back side of the blade will be etched with the steel type, CPM154, and the number of the knife in the series, 1 of 20, 2 of 20, etc. Each knife will come with a black tactical style sheath custom made for each knife, complete with ties and a Eze Lap Sharpener stitched into the webbing of the sheath. 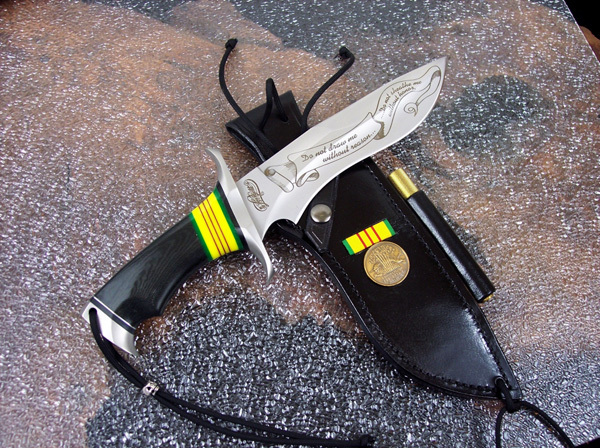 Each sheath will also have a Vietnam Service medal/ribbon inlayed into the leather. 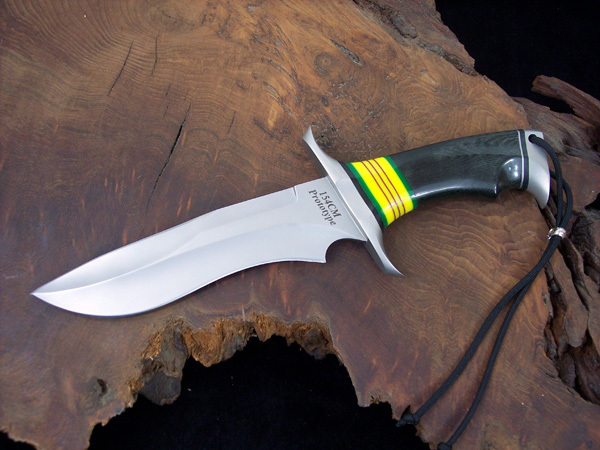 The knife is about 12 ½ inches overall in length with the blade measuring 7 ½ inches long and just under 2 inches at the widest point. 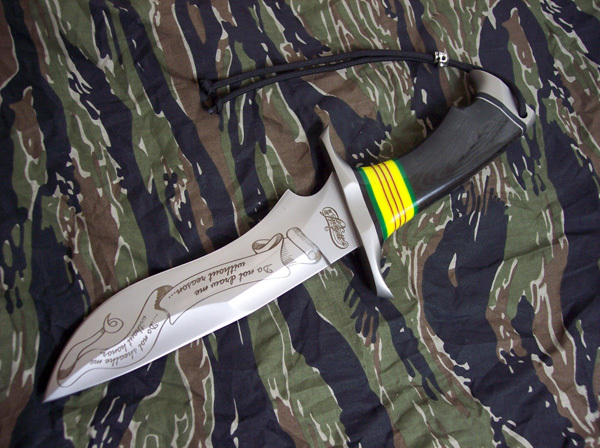 The blade stock in ¼ inch. 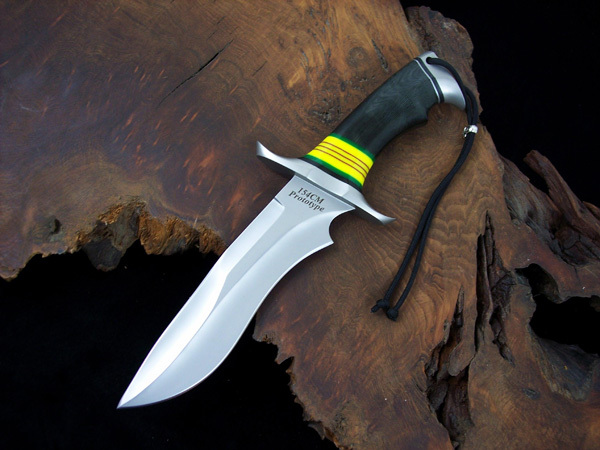 The guard is about 4 inches tip to tip and made from 3/8 inch thick 304 stainless steel. The pommel is also 304 stainless steel but made from ½ inch thick stock. All metal parts are satin finished using a micro glass bead blast. 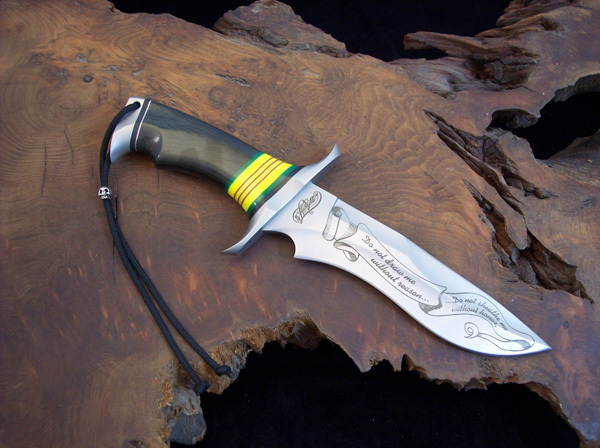 The custom sheath is made from 7.8 oz heavy leather. I will take all necessary information then and be able to tell you which numbers are still available for purchase. Thank you for looking at this new model and putting up with my comments about the Vietnam War. My Dad’s war was WWII and Korea. He often said that Korea was the “Forgotten War” . I have always felt that Vietnam was the War that people want to forget.